Found this on moonlightstitches's blog. Isn't it cute? I have spent time perusing Berocco's free patterns before, but I'm not sure this would have registered, even if I saw it before. Funny how you have to be in the right place and time (literally and figuratively) to appreciate something. I could do this with the yarn left over from my Alpaca Cardi (I have three skeins left). Not sure what I'd do for a handle, but that will sort itself out later. Beautiful!!! I simply love the sleeve. I hope you are writing your pattern. thanks for the mention! 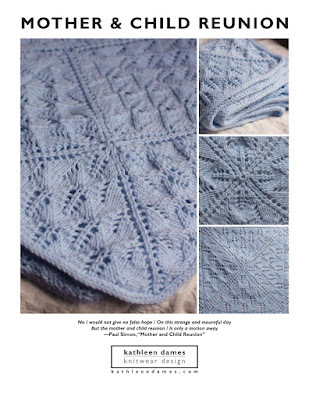 I would have passed this one up too if I hadn't seen other knitters in the flesh working on it. I'll let you know when I get my handle on ;).